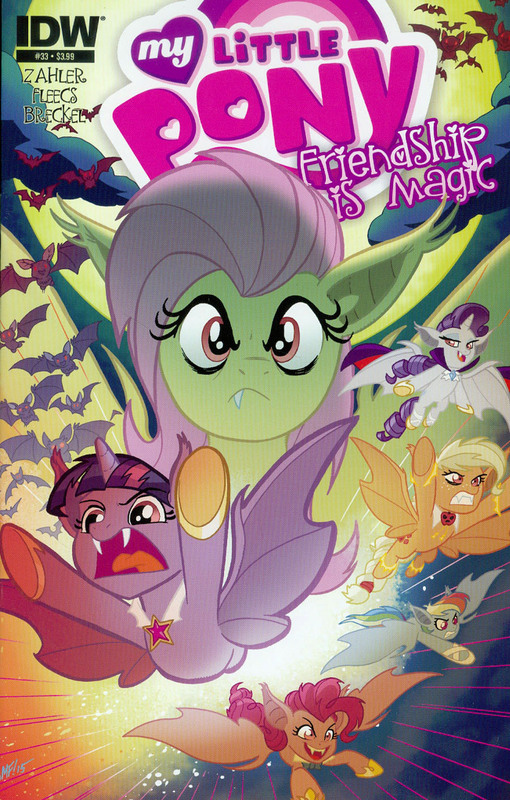 Twilight Sparkle uses the spell that created Flutterbat to turn them all into vampire ponies in control of their actions. As they take the battle to the living apples, Fluttershy combats herself for dominance of her body and to help her friends. The plan seems to work, until the apples all form up onto Bad Apple to become a giant Spike. GRADE: A. A fun conclusion to the story begun last issue. Thom Zahler made excellent use of Fluttershy’s transformation as a driving force in the plot and answered what the others would look like as one in the process. 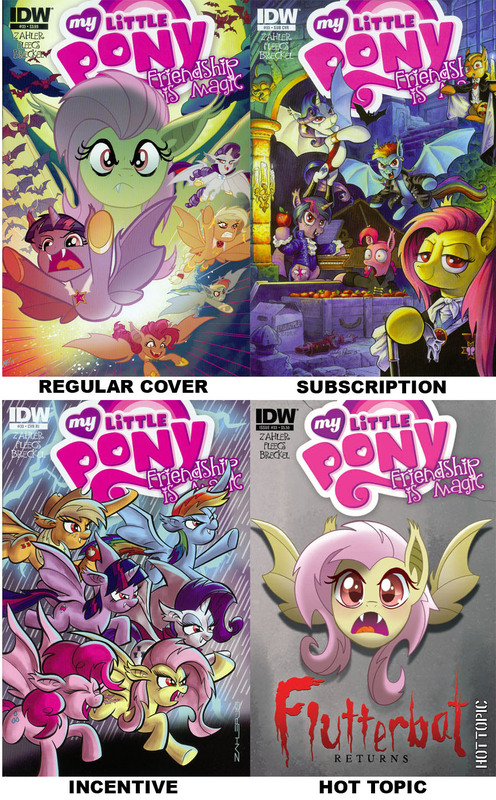 Although, probably the best use of that particular devise was Andy Price’s cover, which depicts the Mane Six as various vampires throughout pop culture. 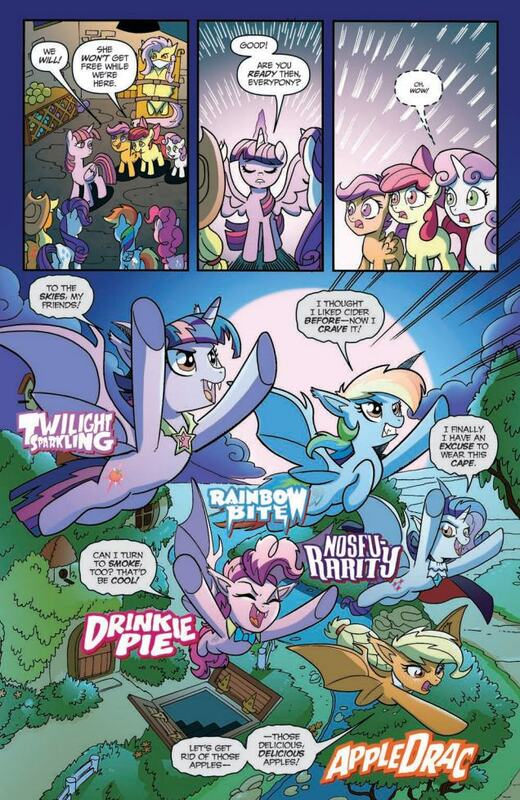 With the excellent artwork of Tony Fleecs and Heather Breckel to back it up, the only negative of the story is that the ending was pretty much telegraphed upon the introduction of Good Apple last issue. 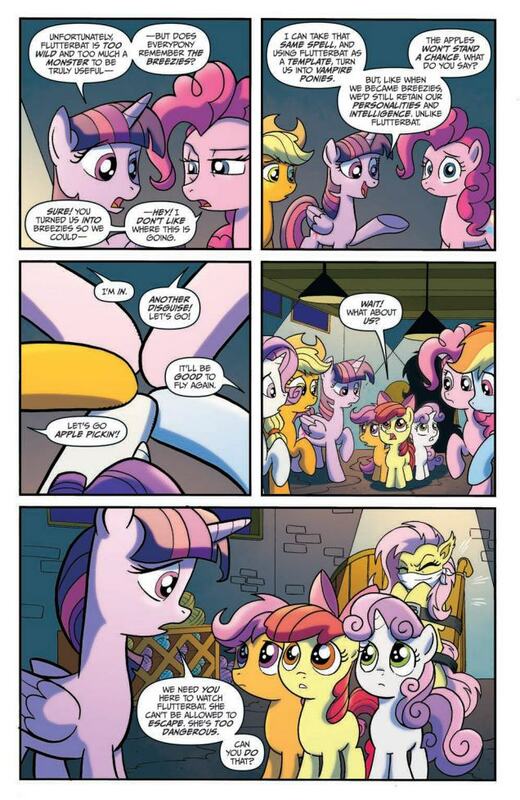 But, it was still a fun, enjoyable romp, and one of the best Ponies stories in the comic since its inception. This issue came with 4 covers, seen below. What did you think of this issue? Let us know in the comments or on our Facebook page.